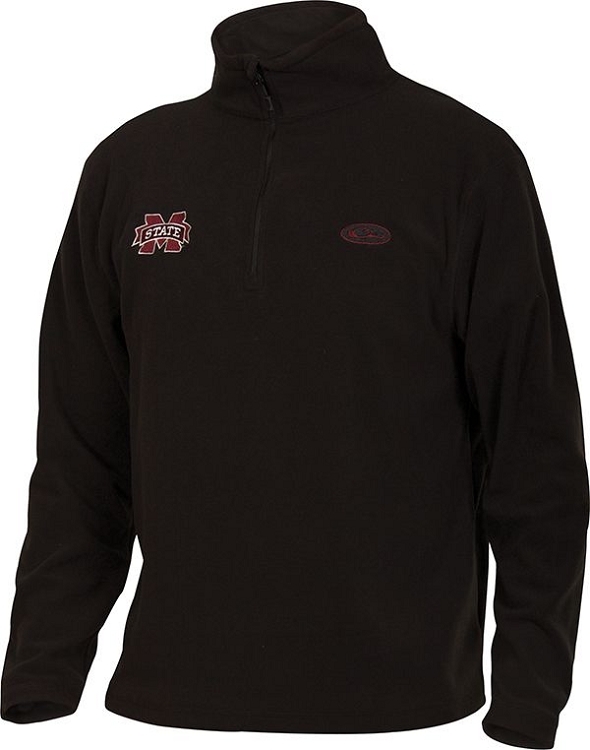 Featuring the Mississippi State logo embroidered on the right chest and an anti-pill finish for longer fabric life, the Drake Camp Fleece Pullover is a mid-weight layering garment perfect for those cool fall days that don't require a heavy coat. The mid-weight fleece fits well and the price was awesome. I love wearing this to tailgates and outdoor events in cool weather. Also, it does not shrink in the laundry.